Unique Easter Sunday 85th Birthday! Famous friend found at Y.T.U. Dad helps Britain win the Falkland Islands. ANZAC COVE, 1915: My Dad Was there! Five priests shepherd the flock for 250 years. What would Mary MacKillop do? Audrey White, a Pianist Prodigy! JESUS – No greater Love! Richard, Abortion, and the Wonder of Life! Philip Vincent – You’re the Voice! Meeting Prince Charles at the Antarctic Base! Obama – A Dream Realised! Returning were as tedious as go o’er! How to pronounce words even the BBC can’t? How excited I was that day back in 1975! It was while I was studying at Gonzaga University in Spokane, Washington, that I discovered Surprised by Joy, by C.S.Lewis. It was set for study as one of three spiritual biographies, chosen from what could be classed as the cream of English Literature. The others were James Joyce’s Portrait of the Artist as a Young Man and the Confessions of St Augustine. I found all three texts quite moving. It was almost disappointing to me, I am ashamed to say, that St Augustine’s Confessions were not at all what I anticipated. I expected something like True Confessions, a magazine that teenage girls hid from their parents in my youth. I could understand that, while most of the Americans in the class shared my love of St Augustine’s Confessions, they were mystified by James Joyce’s book. And it was beyond my comprehension that they failed to make anything of C.S.Lewis’s autobiography, Surprised by Joy. How I know is that the lecturer asked me to form a discussion group on each book and share with the other students the meaning, as I saw it. As for Surprised by Joy, I was rapt in this marvellous book. 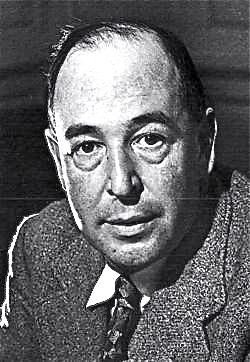 It was a first-hand account of the author’s journey from atheism, in his university days, to belief in God, expressed in the style that is unique to C.S.Lewis. What makes Lewis’s book so remarkable is his total honesty and willingness to shed all masks that were holding him to his atheism. 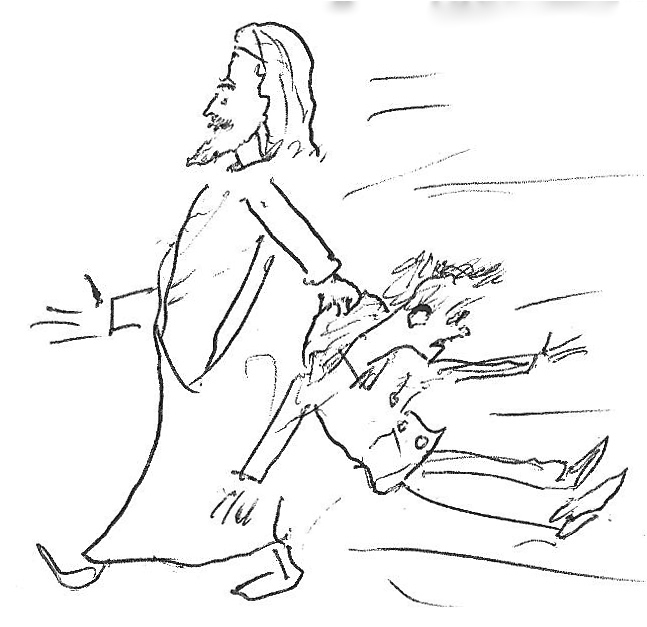 He made no secret of the fact that he simply did not want to find God; he had a burning desire to run away from where his heart was leading him. This was because of the inexplicable joy that almost exploded in his young heart whenever he read the Nordic myths. He was puzzled, and even disturbed. What could explain the wonder, the magic even, of these feelings of sheer delight that welled up within him whenever he read these stories from the north? It seemed that some Power within him, that alone, could explain the exaltation of spirit that he experienced. He tried his best to argue his way out of it, using all the trivial excuses he could muster. But he had to admit that this experience of Joy so thrilled his whole being, it was so intense and it always related to something so good and so high up, that it could not be explained with words. These “stabs of joy” throughout his life continued to point to some powerful reality possessing his soul. Lewis was also influenced by other believers. The leading one was Tolkein, a Christian, who shared with Lewis his love of myths, and who gave the world The Lord of the Rings. The other was G.K.Chesterton. This literary genius of the 19th century astonished the world when he joined the Catholic Church. He records his religious experiences in The Everlasting Man, a book that had a strong influence on Lewis. However, the aim of C.S. Lewis in writing Surprised by Joy seems to be not so much to give a detailed account of his life or to tell of these religious contacts; rather it is to identify and describe the events surrounding his accidental discovery of, and consequent search for, that phenomenon he labelled Joy. This is his best translation of the idea of the German word for longing. All the time, as we read, we sense God’s presence bearing down on him, step by step, like a great weight, until he realises that there is no escape. “You must picture me alone in that room in Magdalen, night after night, feeling, whenever my mind lifted even for a second from my work, the steady, unrelenting approach of Him whom I so earnestly desired not to meet. That which I greatly feared had at last come upon me. In the Trinity Term of 1929 I gave in, and admitted that God was God, and knelt and prayed: perhaps, that night, the most dejected and reluctant convert in all England”. His words are so reminiscent of The Hound of Heaven, a poem by Francis Thompson. A wonderful sequel is what happened in his future life. It was as though the title of his book grew out of a premonition he had received. Other commentators seem to consider it merely another incident in the life of Lewis. I don’t agree – I tend to see it as an amazing coincidence, bordering on the miraculous. It was after his novel was published and it had become a world bestseller, that C.S.Lewis was surprised again by an altogether different type of Joy. It was his meeting with his great admirer, the American divorcee, Joy Gresham, separated from her alcoholic and abusive husband. With Clive Staples Lewis, she fell deeply in love. Already she loved his books; now she loved the author. His principles opposed divorce. However, he did go through a civil form of marriage with her so that she could obtain a green card, enabling her to live in England, away from her home in the USA..
Then Joy contracted bone cancer and was obviously dying. This caused a change of heart – where love surpasses law. He went against those earlier principles and married her, legally adopting her two young sons, David and Douglas. He saw how ill she was, and how much she needed his complete support, in a full expression of his love. His bachelor brother, nicknamed Warnie, wrote about Lewis (using his nickname, Jack): “For Jack the attraction was at first undoubtedly intellectual. Joy was the only woman whom he had met… who had a brain which matched his own in suppleness, in width of interest, and in analytical grasp, and above all in humour and a sense of fun”. The movie, entitled Shadowlands, tells this heart-rending story. If any reader has not seen it, I strongly recommend it to you. I have continued to love this author. In future years, when I ran the seminary library in Papua New Guinea, I filled a number of shelves with his books. One was to help those who are bereaved to deal with sorrow in their lives. It is called : The Problem of Pain. Then came the tragic moment when Joy died. All the words he had ever preached about suffering, all the words he had ever written, they were now so empty. The loss of Joy shattered everything he had ever believed or taught – his heart was broken. After a long period of deep grief, he finally set to work to write another book about pain. This time, the words were short, simple; words that reached right into the depths of his own suffering; words, admitting that all his former ideals about how to cope with grief, those words were meaningless for one who had lost the idol of his being, the one who had become his whole raison d’être. He called his second book: A Pain Observed. In this small book, Lewis worries that he will be able to believe only in a “Cosmic Sadist,” in an evil God, the one who took from him Joy, the great love of his life. Lewis wrestles with this question throughout the book. Grief is not overcome in the course of the book, but Lewis acknowledges that grief is a process and not a state. As he works though his grief, he finally ceases to look at God as a sadist and sees purpose in the suffering. He even feels the presence of God and of his wife in a renewed way, and it brings him some measure of peace. Towards the end of the book, in reference to his wife’s death, he says: “It has so many ways to hurt me that I discover them only one by one”. “Still, there are two enormous gains. Turned to God, my mind no longer meets that locked door; turned to Joy, it no longer meets that vacuum. My jottings in this book, A Grief Observed, show something of a slow change. It was like the warming of a room, or of the coming of daylight. When you first notice them, they have already been coming for some time. Because of his candid account of his grief and the doubts he voices, some of his admirers found it troubling. They couldn’t believe that this Christian writer, one they had grown to know and love, could be so close to despair. Yet, when T.S. Eliot read the manuscript, he found the book intensely moving. I, too, found it one of the most moving, and most sincere, books I have ever read. Have you felt the joy of meeting a football fan, overseas, who supports the same team as you? That’s how I felt the day I met Father (now Bishop) Bill Fey, a Franciscan priest in Papua New Guinea. Like me, he also really likes C.S. Lewis. What is more, he gave me a cassette tape where Lewis himself is reading a part of his own writings. A sad ending, though! I had to leave PNG in something of a hurry. And I had no time to collect my treasures. Hence that gem is still at the seminary in Fatima. A delightful little touch came to me some years ago.. My great-niece, Catherine, from Jakarta, occasionally sends me e-mails. In one, written when she was eight years old, she tells me that one of her favourite books is Narnia: The Lion, the Witch, and the Wardrobe. This story grows out of the first joy that Lewis derived from his boyish reading of the Nordic myths. He uses these, after his conversion to Christianity, as a basis for his Narnia series. This particular one, loved by Catherine, gives a powerful image of Jesus, the saviour, who triumphs over evil and brings freedom to his followers. This strongly Christian theme is evident in the movie, as well in the book, and in all the writings of this very popular author, one of my favourites!